Discussion in 'transmission and Drive train' started by grumpyvette, Mar 7, 2010. What is the proper way to adjust my Hurst four speed shifter? There is a 1/4 inch hole at the bottom of the Hurst mechanism that runs through all three levers. This is called the neutral alignment hole. To ensure proper adjustment, run the shifter from first into second and then back to neutral. Insert the neutral alignment pin (or a 1/4 inch drill bit) into the neutral alignment hole. If the 1-2 lever interferes with the smooth insertion of the alignment pin, remove the 1-2 linkage rod from the shifter and thread the adjuster button either in or out to eliminate the interference. Repeat this procedure with the 3-4 lever and reverse. To adjust the stop bolts, back the bolts out of the shifter frame until only a few threads remain. Push the stick firmly into third gear and hold. Screw in the stop bolt until contact is made. Release the stick and back the stop bolt out one turn and tighten the jamnut. Push the stick into fourth gear and repeat the procedure. I hope you carefully cleaned and de-greased the bolt threads and used carb cleaner spray to de-grease and flush the female threaded bolt holes in the trans and put a couple drops of loc-tite on those shifter bracket bolt threads, so it stays firmly fastened or youll eventually find that your back under the car duplicating that effort. transaxles recommend an 80W or 90W GL-4 lubricant. consideration requires the extra protection of a GL-5. synchros, but they provide very poor gear protection. worse than in an engine or automatic transmission. not shear or oxidize with use. to flush the transmission before replacing with MTL. Red Line Oil's MTL and MT-90 are designed to provide excellent protection and improved shiftability for manual transmissions and transaxles, having cured the problem of hard shifting in thousands of transmissions with shifting troubles. How? They have the appropriate coefficient of friction for most manual transmission synchronizers (many gear oils, engine oils, and ATFs are too slippery for proper synchro engagement). And, the wide viscosity of MTL and MT-90 allow proper shifting over the entire temperature range which the transmission will experience. The synthetic base oils used have a very high viscosity index which provides relatively constant viscosity as temperature changes. MTL is a low 70W at very low temperatures and a high 80W, nearly an 85W, at elevated temperatures, providing adequate viscosity to prevent wear and deaden gear noise. MT-90 is a thicker 75W90 version of MTL. The shear stability and oxidation stability of these products are excellent, thus the physical characteristics of Red Line MTL and MT-90 will change little with use. The MT-90 is a 75W90 GL-4 Gear Oil thatâ€™s slightly heavier than MTL. Provides excellent protection of gears and synchronizers and its balanced slipperiness provides a perfect coefficient of friction, allowing easier shifting. NOTE: AMSOIL ALSO OFFERS A 75W-90 SYNTHETIC GEAR LUBE FOR MUSCLE CAR/MUNCIE MAN TRANS. GL-4 80W-90 TRANS LUBE FOR MUNCIE /SEE BELOW FOR INFO & WEBSITE. Low pour points and high temperature properties to provide lubrication over a wide temperature range. Versatile, contains anti-rust and anti-wear EP additives to provide corrosion protection in drives and hypoid gears. Dark oily substance with faint petro leum odor. Plastic-safe. Sulfur (S) and phosphorus (P) are the primary ingredients in Extreme Pressure (EP) additives. 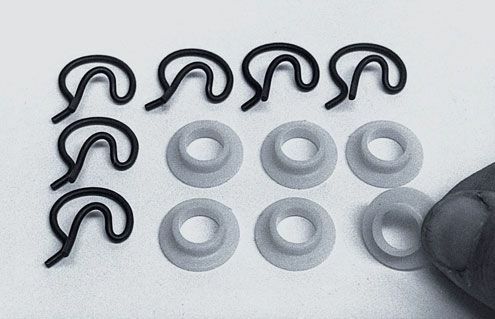 The higher levels of EP additive in GL-5 fluids facilitate greater load and shock protection. However, controlling corrosion caused by certain reactive forms of S and P was an issue, so GL-5 oils that contained the highest levels of EP additive were not considered suitable for use in gear boxes that contained soft yellow (brass, bronze, etc.). The solution in the past was to lower the amount of EP additive (and thus, S and P) resulting in a GL-4 lube. In the last few years, more stable forms of S and P have become available and other additives have been developed that supplement the performance of lower levels of traditional EP additive. It is now possible to have a non-corrosive gear lube with GL-5 extreme pressure performance. Royal Purple Max Gear is a non-corrosive formulation (for yellow metal syncros) with extremely high load carrying capability. It is therefore suitable for use in applications (Muncie included) calling for a GL-4 or GL-5. So, it is perfectly safe to use Max Gear in your Muncie transmission. We also recommend it for your 12-Bolt and you do not need to add any limited-slip additive. It's already in the formulation. Thank you for inquiring about Royal Purple and have a great day. OP says he does not have the Hurst shifter. Any early “stock” Muncie I ever seen has adjuster nuts at the shifter end of the shifter rods. A few words have changed but you also covered my instructions that are the same published every so often in Chevy Power mag and Hot Rod mag. Heavy Duty full synchromesh 3-speed Borg Warner T16 delivered as the base transmission when the SS396 series was ordered. The special 3-speed H.D. 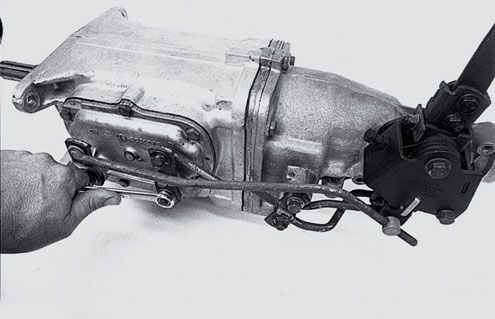 transmission was standard on SS396 series and optional under RPO M13 in other series and the shifter was floor mounted whether a console was ordered or not. Muncie 4-speed manual transmission. Note the speedometer cable exit on the passenger side. Because the speedometer cable exited on the passenger side, an extra hole was required in the firewall to accommodate the speedometer cable. P0221 (February 21) date stamping on 1966 Muncie 4-speed transmission. P7C09 (March 9) date stamping on a 1967 Muncie 4-speed transmission; (1967 was the first year to have the year stamped in the date code and the month represented by a letter code). The Saginaw 4-speed transmission was also used and shown for "M20 PROD V-8 ENG & R.P.O. L30". Easily identified by the reverse gear being on the main case instead of the tail housing. There are 7 different input shaft possibilities on a Muncie. All 26 spline inputs came with 32 spline output shafts and all 10 spline inputs came with 27 spline output shafts. It is commonly mistaken that all "fine spline" 26 spline input shafts are M22 transmissions. The M22 transmission has a 20 degree helix angle on the gear set as opposed to a 45 degree angle found on the M20 and M21 and were made with a higher nickel alloy. The straighter angle was designed to produce less end loading of the gear train and less heat but created more noise, thus the nickname "Rock Crusher" was born. Another misconception is if you have a drain plug you have a M22. 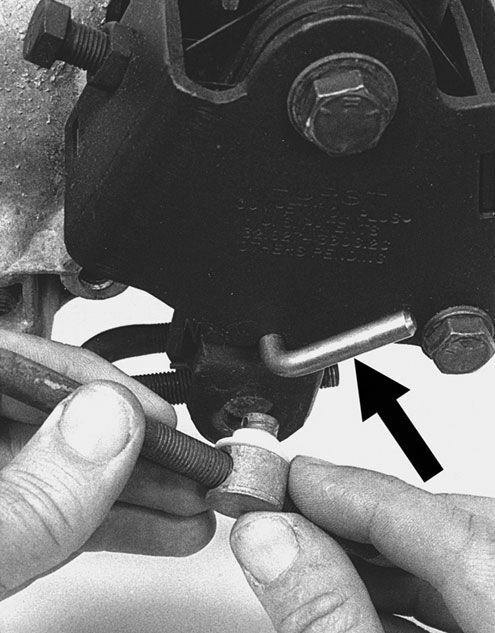 This was only true when the first M22 boxes were created; all 3925661 castings (1970-1974) had drain plugs. The M22 was only produced in a close ratio version. 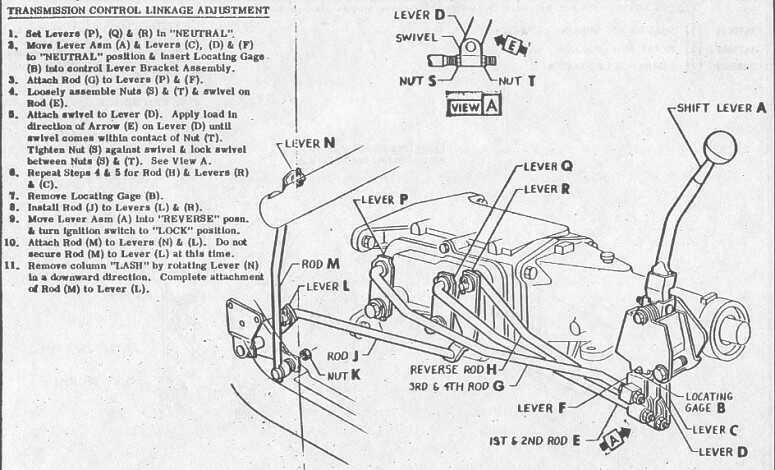 If you are lucky and find the transmission tag (generally found on a lower bolt of the side cover), it will help identify a 1966 Muncie transmission. Unfortunately these metal tags are often discarded when repair or maintenance work is performed. The serial number is a date code and indicates the particular year the transmission was built for. Serial numbers from 1963 to 1966 included only the month and day. P0101 indicates January (first 01) 1st (second 01). In 1967 and 1968, the serial number got a year designator and a letter designator for the month such as P8A01, meaning 1968 (8), January (A) 1st (01). Note that a Muncie dated with a December build date it was actually built the prior year. An example would be the date code P8T13, meaning 1968 (8), December (T), 13th. The transmission was assembled December 13, 1967 for the 1968 model year. The 1969 to 1974 Muncie got a ratio designating letter at the end of the serial number. An example would be P2R25B. This decodes to 1972 (2), October (R), 25th, M21 (B). 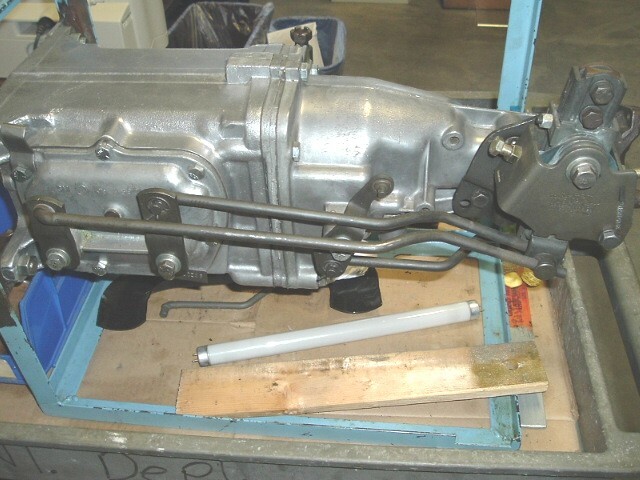 3-speed (except Heavy Duty) Left side of main case, on boss below and to the rear of the side cover. 3-speed (Heavy Duty) Right side of main case, just in front of extension housing. 4-speed Right side of main case, just in front of extension housing. I wonder how many people know about the simple rod placement to the second hole on the Muncie shifting lever to shorten the 2 - 3 shift gate “H” zig zag? I have return to edit this photo to insert pointers - as soon as I can figure out how to do it.